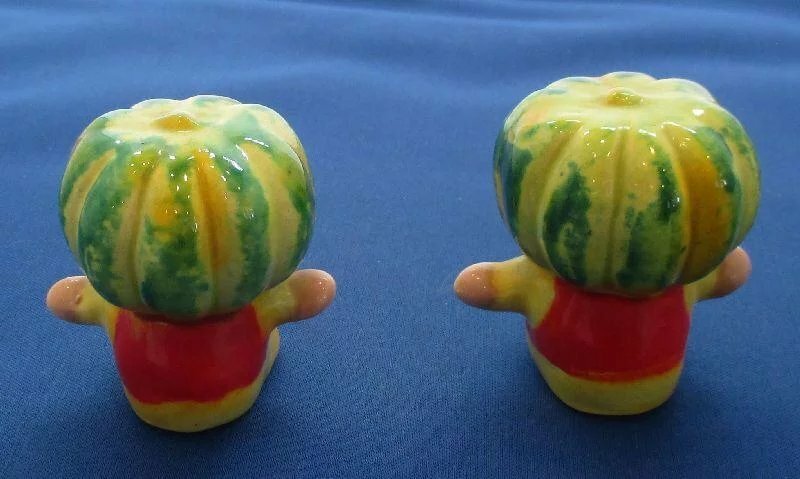 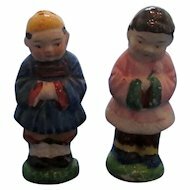 Here is a vintage anthropomorphic melon head girl salt and pepper shaker set. 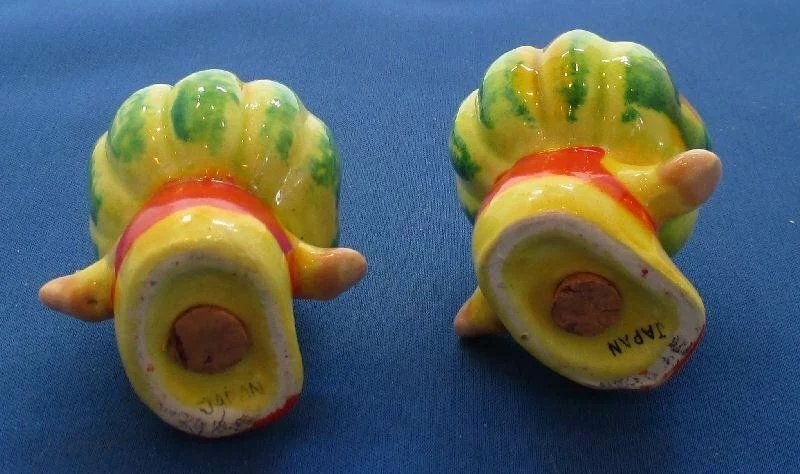 Each shaker stands 2" high. 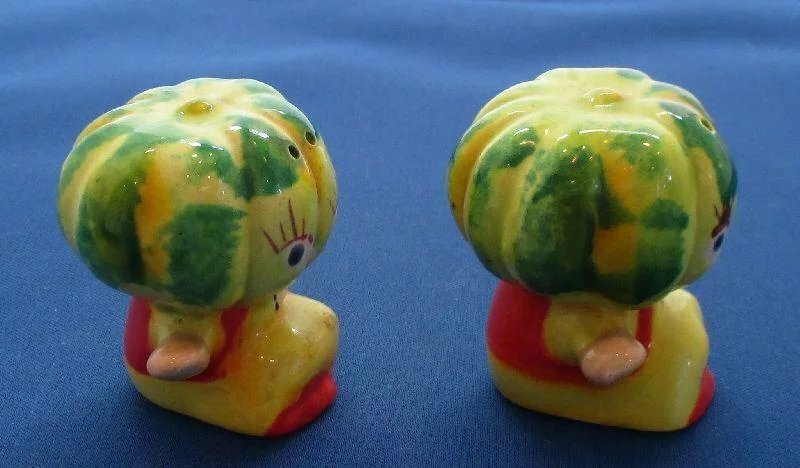 Both shakers are marked Japan on the bottom and both have stoppers. 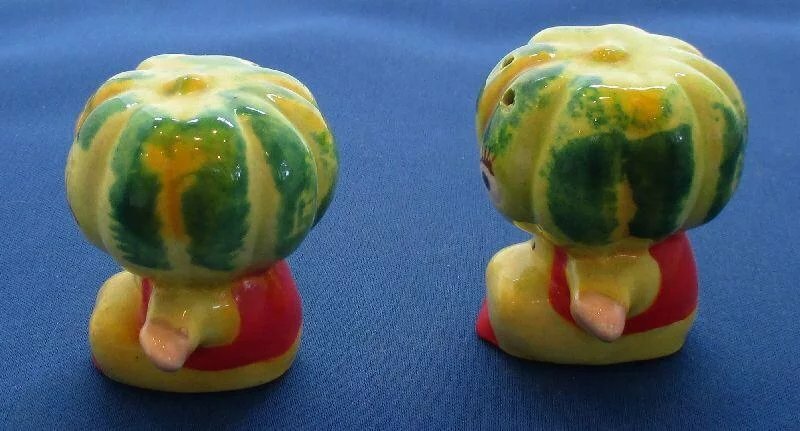 The colors on this set are bright and vibrant.